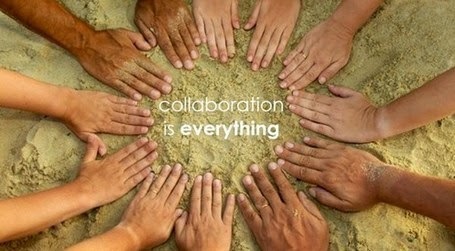 Collaborative learning is becoming a common trend nowadays in different universities internationally. Once people heard about this topic, you will expect different reactions that differ on people's perspective and nature in life. For me, I believe that in collaborative learning, we always expect learner’s participation and the factors needed to design effective collaborative learning. When I was working for topic 3 together with other participants of the PBL group where I belong, I have started by searching the definition of Collaborative Learning and the one that catches my attention is that Collaborative learning requires working together toward a common goal from Melinda Dooly in her article entitled "Constructing Knowledge Together". I believe that collaboration entails the whole process of learning that means that the participants are responsible for one another's learning as well as their own and thru that reaching the goal implies that students have helped each other to understand and learn. I can say that digital collaboration is better than traditional form in terms of the accessibility and availability. I guess it is an easy task to think of but hard to do. I can see a lot of challenges including my personal experience in ONL151 course, honestly, at first I found it difficult to collaborate because I feel ashamed maybe my ideas are not appropriate or maybe the other participants will not appreciate my beliefs and values since I came from different culture that uses different approach. Sometimes I am hesitant to give comments on the blogs and ask questions during tweet chat or webinars that made me like a passive member that doesn't actively contribute to the group. Hence, we can say that the greatest challenge in designing collaborative learning is to ensure learner’s participation in online collaboration. As stated in one of the articles given in the course entitled "Creating Effective Collaborative Learning Groups in an Online Environment" by Brindley, Walti and Blaschke L., Online learners who seek flexibility in their study situations can view participation in group learning as an impediment to their progress and often hesitate at or at best tolerate collaborative learning situations imposed by course design. Well we can say that a good course design will encourage learners to collaborative effectively and efficiently. However, creating it is not just simple since you have to consider also the quality. As I read the suggested article in the ONL151 website entitled "Learner Generated Content: Quality Criteria in online Collaborative Learning, I just realized that quality criteria in an Online collaborative learning is also important since the participants are dealing with vast amount of resources available online but it is hard to validate its integrity. How can we make sure that they are following the quality criteria in online learning? Or is there a standard to be followed? It is a good thing that ONL151 is properly designed for collaborative learning and the facilitators are also encouraging that helps me gained my confidence to connect with other people. In view of this, I was able to learn more and truly understand the goal of the course. I guess I was able to grasp knowledge more especially when there is interaction involved and working together with new tools that was introduced in the ONL151 course such as Prezi, Padlet, Coggle etc. I realized that each member of the group has something unique that he or she can contribute and your ideas are shaped and strengthened as you hear other sides of the scenario and other angles of the problem. It may be because we have different experiences in life and come from different a background which gives us all certain knowledge that not all people possess. In fact, if one person can get something ready and the other has something else, it really saves time in achieving the goals. Collaborative learning therefore, aids the development of critical thinking thru discussions, clarification and evaluation of ideas. Indeed. Whenever we enter a new community, course, workplace we need time to acclimatize to the new environment and tune in to the new culture. We need to watch, listen and learn the "etiquette" of the new environment before we dare to make our first contributions. That's why it's so important to create a safe and supportive community feeling in online courses. We also need to learn that students who are silent are also learning. (I you want you can read my post on this topic at http://acreelman.blogspot.se/2015/04/not-lurking-but-learning.html). Thank you very much for sharing the link to me, I can really relate to the article. Elegant Lurking is an important ingredient in the subtle business of becoming a member of a community. I think it is better to do elegant lurking to familiarize or learn about the community for us to collaborate effectively. Collaborative learning is a method of teaching and learning in which students team together to explore a significant question or create a meaningful project. A group of students discussing a lecture or students from different schools working together over the Internet on a shared assignment are both examples of collaborative learning. .In small groups, students can share strengths and also develop their weaker skills. They develop their interpersonal skills. They learn to deal with conflict. When cooperative groups are guided by clear objectives, students engage in numerous activities that improve their understanding of subjects explored.